Washing will help remove scabs and help with the healing process. We will reccomend you a shampoo and a lotion for hair wash procedure. 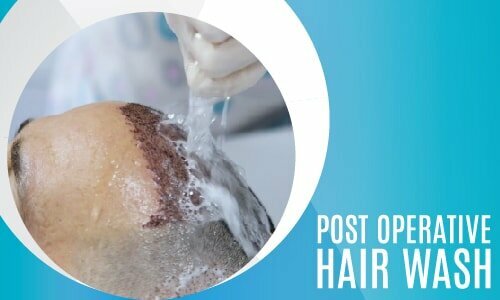 3 days after hair transplant operation you should start post-transplant hair washing process and follow the instructions once a day for 15 days. If all scabs are removed after 15 days you do not have to use lotion anymore, feel free to use any kind of shampoo for washing and you can start to rub in the shampoo gently with your fingertips. If you still have scabs on your head, you should go on with the obligatory washing with the lotion and shampoo until there will be no scabs on your head. All scabs should be gone within 20 days at the latest. 1 Month after the operation you will have passed the risky stage; you can go back to your normal life and use towels as well. Hair must be washed everyday for 1 month. Emollient lotion enhances the regeneration of skin cells, moisturizes the skin and softens the scabs. Cover your whole donor part with lotion by tapping gently. Wait for 1 hour and rinse out during hair wash. The second week lotion will be applied on both transplanted and donor areas. Gently cover both areas by tapping gently with 7-8 drops of lotion. 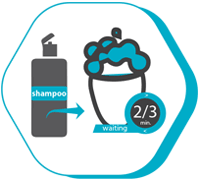 Wait for 1 hour and rinse out during hair wash. Make sure you apply the lotion with the same direction of the transplanted grafts to avoid any damage. Note that you may use more lotion for donor area. The special medical shampoo is used to remove the scabs and help the recovery process. After waiting 1 hour for lotion, you can start washing as described. Using the provided medical shampoo, create foam between your hands and spread foam through your donor and recipient area gently without rubbing or strong movements. Leave the foam on for 2-3 minutes before rinsing. 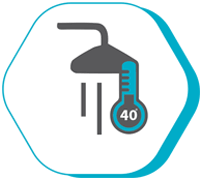 Don’t rinse your head with pressured hot water; use warm water. Slop some water on your head by using a bowl (do not use the shower). It is important to rinse the shampoo well. Don’t use towels to dry your hair. 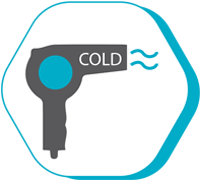 You should use a hair dryer on a cool air mode from a distance to your head.